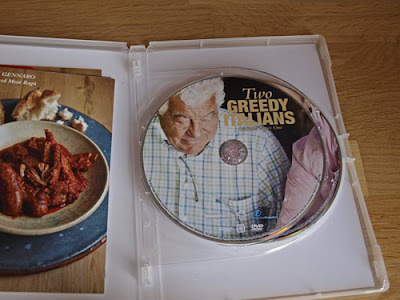 The DVD of the first series of Two Greedy Italians is being released on April 2nd ahead of the BBC's screening of the much-anticipated second series in mid-April, you can buy it on Amazon for £11.99 or win it here on my blog! 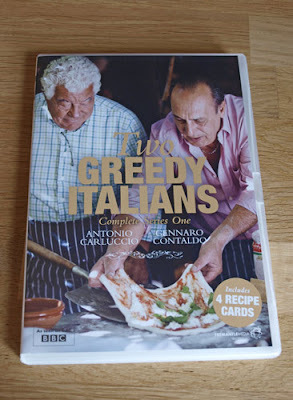 I really loved watching Antiono Carluccio and Gennaro Contaldo travel through Italy talking about their past, cooking and eating the regional dishes. There was something very appealing about the differences in their experiences the humour, they share and the slightly more serious reflections that this trip back to Italy evokes. If you didn't see it when it was on TV you really you missed a real treat. But now you have the opportunity to watch again on DVD. I think my favourite episode is the second one, when they visit the Amalfi Coast where Gennaro grew up. 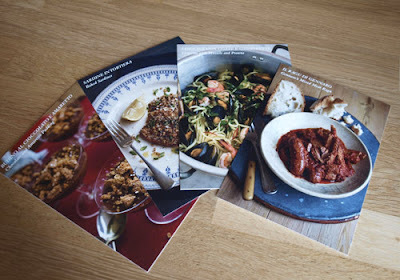 Here we meet really interesting people who make the most frugal of the dishes, made from almost nothing, reflecting the former poverty of the area. 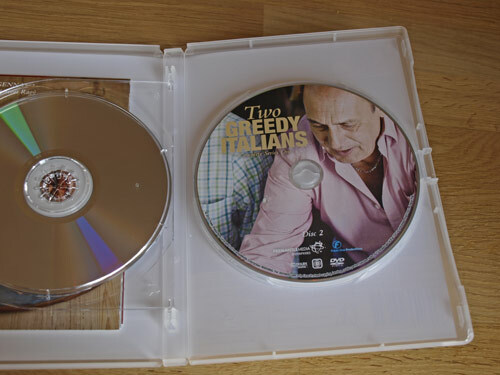 There are two DVDs and 237 minutes of beautiful scenery, stories of the past and glorious italian food. The DVD also contains four recipe cards with dishes from the series so you can cook along at home. I haven't had a chance to try out the recipes yet because I wanted to let you know as soon as possible that I have two DVDs to giveway. Giveaway runs until 2nd April. Open only to residents of the UK. Complete the instructions on the Rafflecopter widget below to enter. If you don't win, remember it is available to pre-order on Amazon now! All this talk of Italian food is making me hungry. A hearty bowl of pasta would go down well just now. I'm a huge fan of wild mushroom risotto! And gnocchi! I love Pizza preferably ham and pineapple!